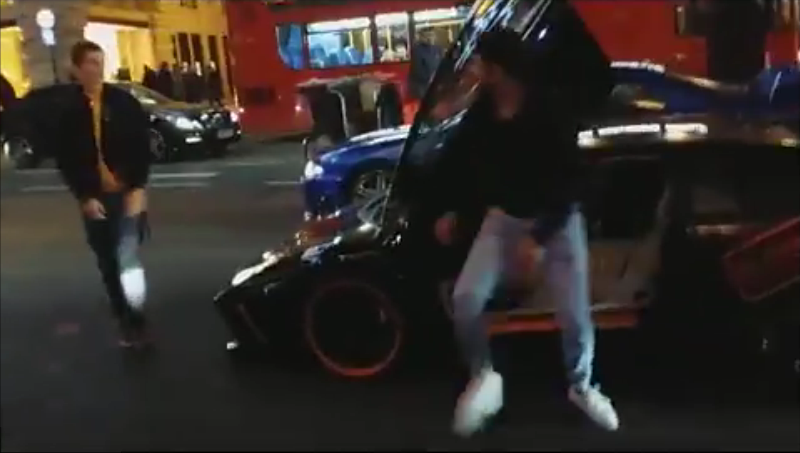 It looks like the pedestrian tried to lean or touch the Lamborghini in the middle of the road and suddendly the passenger came out to punch the pedestrian in the face. Another pedestrian stops the young guy to avoid a fight and then the passenger of the Lamborghini jumps in the car and drives away. Sarà stato sicuramente un morto di fame invidioso. Purtroppo di questi schifosi è pieno il mondo. Anonymous 1: va faenculo ! In London, you get a ticket if your car is too noisy.